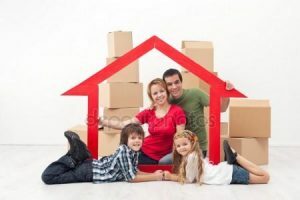 Whether you live in a single family home, own a condo or townhouse, or rent an apartment, home insurance is important. It will help replace your property after a loss, but there is so much more to it. If someone slips on your icy sidewalk or your normally friendly dog causes injury, liability coverage will help pay for the injured person’s expenses. Identity Fraud Expense Coverage: Despite the many people who have been affected by large businesses’ data breach, you may be surprised to hear that identity theft is more likely to start with a stolen wallet than an online phishing expedition. All of this can affect your credit without you even knowing it is happening. Fortunately, identity theft protection is available as an endorsement on most homeowners’ policies for a small cost. This coverage helps with the expenses associated with getting your credit back to where it was before. These can include lost income as a result of time taken off work to deal with the fraud, Notary and certified mailing charges, and reasonable attorney fees incurred to defend lawsuits and remove judgments. This option provides coverage for the peril of water that backs up through sewers or drains or which overflows from a sump. Normally, coverage for this peril is excluded in the basic policy. Homeowners insurance pays for loss or damage from named perils such as fire or theft. There are coverage options to extend coverage to any peril, subject to stated exclusions, and are available to protect your jewelry, silverware, fine arts, furs, guns and several other valuable items. For homes located in an Homeowner’s Association (HOA), Loss Assessment coverage can be invaluable. Check out this article for additional information.